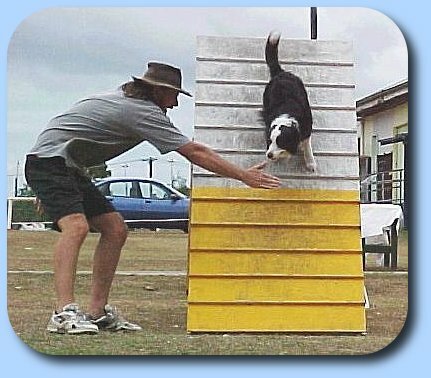 Misty deciding which way to jump off the colour... Misty was one of those dogs who was brilliant at agility and could do everything perfectly and as fast as lightning... until she got in the ring and forgot everything and missed the lot. 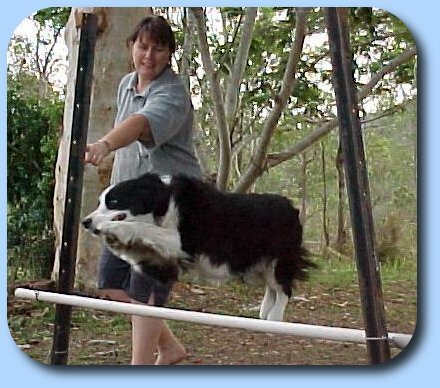 She was fast, sure, but always airborne - but had a lot of fun doing it, which is what agility is all about. 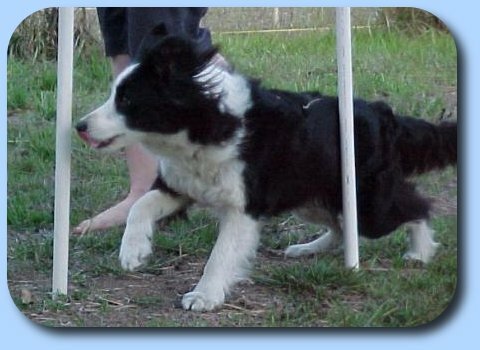 See Misty's Page for more.